Seth Smith was born on 5 March 1856 at Leyland, Lancashire, England. There is no father's name or even a surname listed for him on the birth certificate, so it falls under his mother's maiden name of Bromley. Was John Smith, who married his mother in July 1856, the biological father? Seth took on the surname of Smith after his mother married John Smith.1,20,21,22,23 A strange story of the construction of the church has been handed down from generation to generation-a mysterious legend-the Legend of the Leyland Cat Creature. In the small village of Whittle-le Woods (Approximately 4 miles from Leyland), the villagers met and agreed that they would, between them, build a small church to benefit their community. The local miller donated a plot of land, the Priest was appointed to oversee and organise the workforce in this construction project. The first day of construction arrived and the builders placed their materials on the site and began to lay the stone. When the builders arrived the following day, they were stunned to discover that the stone had disappeared. After much searching, the stone, without explanation, was discovered in the nearby village of Leyland. Angry, the people of Whittle-le Woods toiled to retrieve the stones; they returned them to their site and continued with the construction work. Fearful that the materials may again be taken in the night, they appointed two men to stay on site, an overnight vigil. Unfortunately, tiredness got the better of the two men and they both fell asleep for a short time-they awoke to find that all the stone had again vanished. Again, the stone was recovered from the same site in Leyland. Determined to get to the bottom of the mystery and prevent the same thing from happening again, the Priest arranged a further night vigil and stayed on himself until midnight. As soon as the priest left-one workman turned around and was terrified to see a huge black cat with enormous eyes and a barbed tail-the cat picked up one of the stones and, fast as lighting, ran off with it-returning almost immediately for another one. The two workmen watched the cat from the shadows until eventually, one of them gathered enough courage to try to stop the cat-he ran up to it and using all his strength, hit it over the head with a piece of wood-before he could raise the wood to deliver another blow, the cat turned and attacked him...his workmate, terrified, fled to get the priest. However, upon their swift return, the man was dead and the cat and all the stones were gone. From that point on, it was deemed that the church would be built upon the site in Leyland where the cat had placed the stones....this is the site of Leyland St. Andrew's Church. [S517] Seth Bromley, Birth Certificate Number 172, The birth certificate does not have a surname or the name of his father. 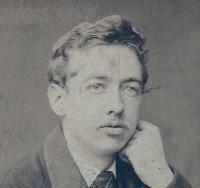 It identifies his mother as Margaret Bromley (10 March 1856). [S616] International Genealogical Index (IGI), Parish Registers For St. Andrews Church, Leyland 1651-1947, shows Seth Bromley. [S471] 1871 England Census, Lancashire County, Dalton, England, GSU Roll 848079. [S217] England and Wales, Free BMD Marriage Index:1837-1983: Hannah Mary Rigg and Seth Smith, 1878; Volume 8e, Page 1040. [S488] Seth Smith, Arizona Passenger and Crew Lists of Vessels Arriving at New York, 13 June 1893; Microfilm Serial M237, Microfilm Roll: M237_611as viewed on Ancestry.com. [S234] The Waterbury Republican, 17 Aug 1909. [S319] Seth Smith Tombstone, Hillside Cemetery, Cheshire, Connecticut, 1857-1909. [S494] 1861 England Census, Lancashire County, Ulverston, England, GSU Roll 543090, shows age 5 and birthplace as Leyland, Lancashire. [S471] 1871 England Census, Lancashire County, Dalton, England, GSU Roll 848079, shows age 15 and birthplace as Leyland, Lancashire. [S387] 1891 England Census, Lancashire County, Barrow-In-Furness, England, GSU Roll 6098598, shows age 35 and birthplace as Leyland, Lancashire. [S283] Seth Smith household, 1900 United States Federal Census, New Haven, Connecticut, population schedule, Waterbury, ED 431, sheet 5, dwelling 58, family 107, shows age 44 and birthplace as England. [S1085] The Legend of the Leyland Cat Creature, online www.socyberty.com/paranormal/the-legend-of-the-leyland-cat-creature/. [S646] Certificate, John Henry Smith and Dorothy Storey marriage of 1 February, 1882. [S479] 1891 England Census, Cumberland County, Drigg, England, GSU Roll 6099430. [S478] 1901 England Census, Cumberland County, Drigg, England. [S1089] 1911 England Census, Cumberland County, Drigg Holmrook, England, shows the couple married for 29 years. [S667] John Smith, John Smith Death Certificate, shows residence of informant. [S387] 1891 England Census, Lancashire County, Barrow-In-Furness, England, GSU Roll 6098598, shows the son of Seth Smith as John R. Smith. [S283] Seth Smith household, 1900 United States Federal Census, New Haven, Connecticut, population schedule, Waterbury, ED 431, sheet 5, dwelling 58, family 107, shows the son of Seth Smith as John B. Smith. [S1359] John B. and Beatrice Smith's Marriage Certificate: shows Bromley's father as Seth Smith. [S490] International Genealogical Index (IGI) Helen Smith,Shows father as Seth Smith. [S387] 1891 England Census, Lancashire County, Barrow-In-Furness, England, GSU Roll 6098598, shows the daughter of Seth Smith as Helen Smith. [S283] Seth Smith household, 1900 United States Federal Census, New Haven, Connecticut, population schedule, Waterbury, ED 431, sheet 5, dwelling 58, family 107, shows the daughter of Seth Smith as Helen Smith. [S302] Ellen Cronan's Death Certificate. [S387] 1891 England Census, Lancashire County, Barrow-In-Furness, England, GSU Roll 6098598, shows the son of Seth Smith as Seth Smith. [S283] Seth Smith household, 1900 United States Federal Census, New Haven, Connecticut, population schedule, Waterbury, ED 431, sheet 5, dwelling 58, family 107, shows the son of Seth Smith as Seth Smith. [S841] Hannah Mary Smith; christening date: 7 October 1888; Recorded in Dalton-In-Furness; FHL Film 1471899, Dates 1692-1890; shows father as Seth Smith, British Isles Vital Records Index, Hannah Mary Smith; christening date: 7 October 1888; Recorded in Dalton-In-Furness; FHL Film 1471899, Dates 1692-1890; shows father as Seth Smith. [S983] England Births and Christenings: Hannah Mary Smith, 7 October 1888; Dalton-In-Furness; shows father as Seth Smith, Ancestry.com. [S387] 1891 England Census, Lancashire County, Barrow-In-Furness, England, GSU Roll 6098598, shows the daughter of Seth Smith as Hannah M. Smith. [S283] Seth Smith household, 1900 United States Federal Census, New Haven, Connecticut, population schedule, Waterbury, ED 431, sheet 5, dwelling 58, family 107, shows the daughter of Seth Smith as Hannah M. Smith.